Is that a giant donut on the wall? 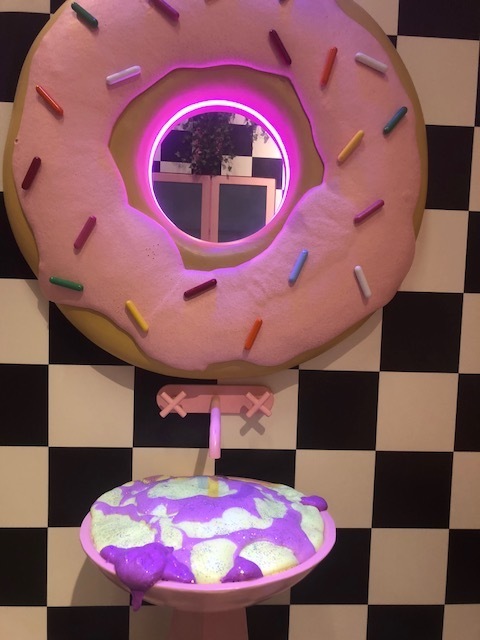 We all have that inner child that needs to be fed, and what better place than at 1,200 square foot pop up with rooms paying homage to our dear friends glucose, fructose, and galactose i.e. sugar? Although not an actual hotel as the name suggests, Sweet Tooth Hotel is labeled as a "sugar-fueled art and retail pop up." Reminiscent of the Ice Cream Museum in colors and deco, there wasn't much information that was available when we we first started to see themed candy pictures released via Instagram. All I knew is that there was candy and something cool to check out so I was in, and you should be too. Each of the five rooms is very different from one another and all interesting in their own right. 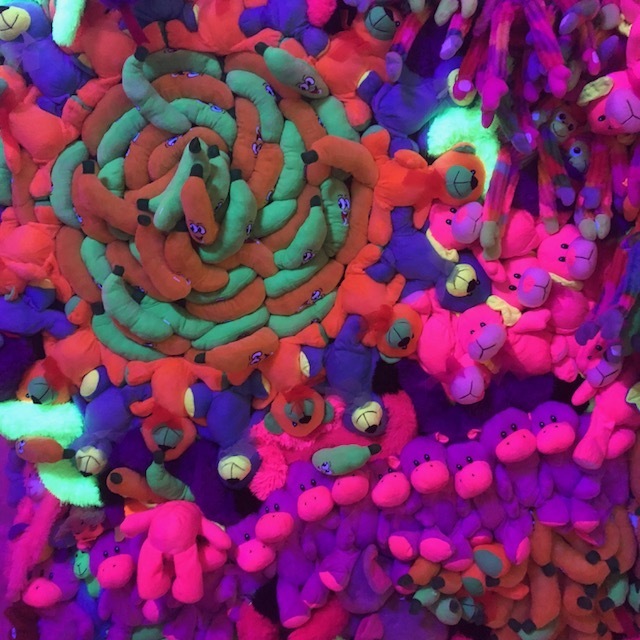 The artists carefully curated rooms inspired by popular candies. There are sound activated clouds. The louder you get, the more they blink with lights. If you need some aggression let out this is also a great place for therapy. Who knew. Outside of the candy, there is some great artwork floating around. Even the hallways have installations of creativity. The last room before you exit is unexpected. The way you get in is a little bit of a surprise as well. The attention that the creators and artist paid to detail with every knob, door, and piece is extensive. Like the Ice Cream Museum, this is the perfect place to get your pics off. There are so many things to sit on, play with, light up, and climb on for optimal pictures. If you want some additional photo props, hit It's Sugar down the street for added candy fuel.